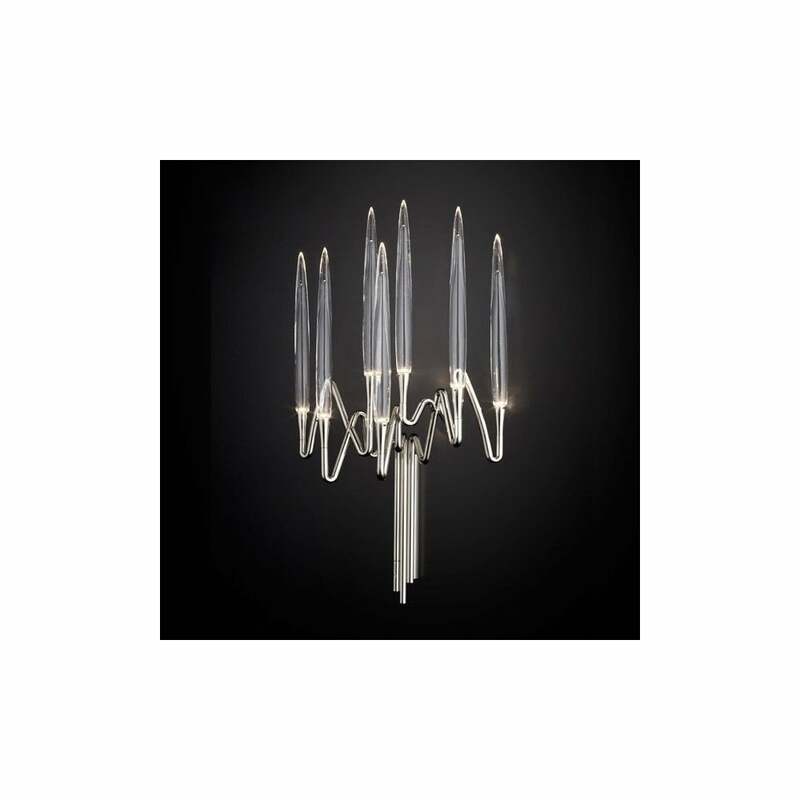 Inspired by Arabic calligraphic art and the icon of the classical candelabrum is Il Pezzo 3, a collection of lamps with a hand forged brass structure and elegant “candles” crafted from hand blown crystal; the candles are illuminated by ultra modern LEDs creating a sophisticated and romantic light. Each lamp hides a small brass cylinder, containing serial number, that seals the authenticity and uniqueness. Light source: 7 x LED 2,7 W (85 lmW) Available in custom sizes and finishes. For pricing, please contact us.